Many things have gone through my head lately about how safety of private information can be balanced with freedom of information exchange in the enterprise. It wasn’t until I read a post from Julian Stodd, Denied: outdated models of authority and control in the Social Age that I really felt the need to write something down. Command and control are outdated terms from the previous century that are not translating into the workforce’s new style of work. Another post by Julian also really said a lot to me on this topic: Command and control, share or narrate? Dilemmas of the Social Age. I’ve seen these terms command, control, and secure around a lot lately when talking about mobile enterprise. It makes me wonder if we should even be thinking of these terms. Enablement and openness should be what it’s all about. Security departments within the enterprise should be replaced by enablement departments. Think how information is shared so openly and easily outside of an enterprise. Now, think how internal information will be shared if the system is not in place to enable sharing in an intelligent way. It’s required to fully acknowledge if people wanted to take information out of the enterprise, they will. Security can’t stop that, it only makes people more willing to go against it and unsafely transport information to the outside. Globalization has changed the workplace to a global network. Systems are global, and the customers are global too. What I wonder is, why are the systems employees use not globally open? They are still difficult to use, yet information sharing is required to succeed. Is there no way to give access to a network without being in control of the entire device that accesses that network? 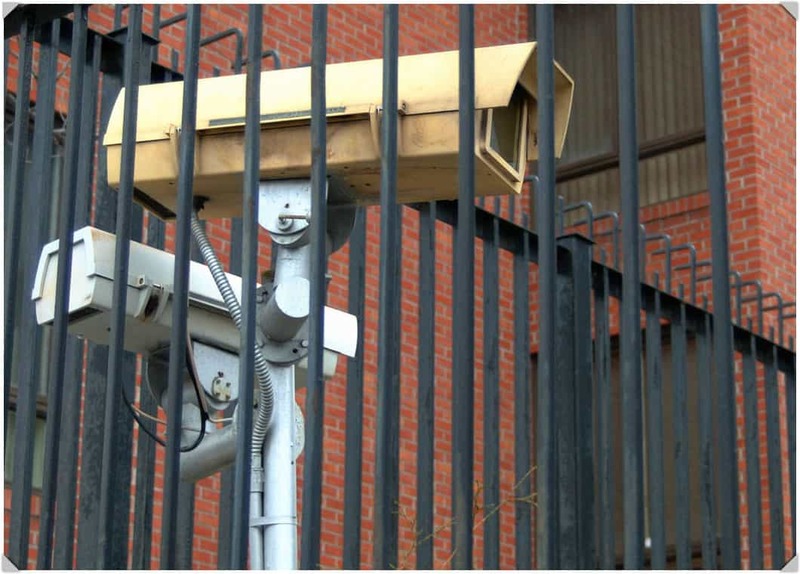 There must be a better way to manage information while ensuring it remains secure from intruders than to shut everyone out and erect barriers. Is the best solution really to shut down the system and only allow access through certain devices, or pre-approved devices? Must mobile devices be signed away to an employer and closely watched and controlled to make sure they aren’t going to leak important company information? If this is the method security is handled with, employees will find ways to go around it and that information will be on a personal device with even less safety than planned openness. With this method there’s no knowing what third-party program or server it might end up on either. If desktop computers are allowed to sign into a network without the owner being required to give permission to control the device, why should mobile devices be required to do so? Command and control are not the best way to think when we look at managing technology. If an enterprise’s physical facility had the same security policies as the computer network, we might end up going through security checkpoints and getting searched anytime we enter or leave. Think about Apple and the recent lawsuit about their employees being compensated for all the time they wasted waiting to be searched. It doesn’t sound like a pleasant experience, and not many companies could get away with it, employees would not be happy to work there. Loyalty would fall dramatically. Just as information sharing and collaboration has been encouraged to flow with open floor plans and strategically placed restrooms, electronic information must flow to the same extent. From a learning perspective, the more locked down a computer network is in a company, the less likely knowledge is to flow. An important puzzle to solve is to allow information from an employees personal life, and computer system, flow seamlessly into their work life. After all, an employee doesn’t stop thinking about work the second they clock out for the day (or thinking about personal life at work for that matter). It shouldn’t matter what device an employee is using to work with, that device should connect easily and without barrier to work if they choose. There are some great tools out there to allow for company information to flow, social learning is the future, so that information must flow for people to learn and grow. It’s a travesty when that information is held hostage behind company networks, inaccessible to the employee by any reasonable means. I recently heard of a great case study where Dropbox was issued to employees which allowed information to flow freely while still staying secure. It became hugely popular with people wanting access to it immediately after it was released from its first testing phases. Why can’t we make information available to all, while still upholding regulations? Stop with the command, control, and secure. Things can only go so far before making information unusable. We live in a social era of not only those in our local office and company but those in a worldwide economy that share knowledge at the speed of light. Access to global learning networks is vital to employee survival and by extension company survival. Who lives in a silo anymore anyway? Even if your company feels like it’s in silos, I guarantee it’s not. Every employee must tap others, whether from a different department, or from their own personal learning network to succeed in their job.